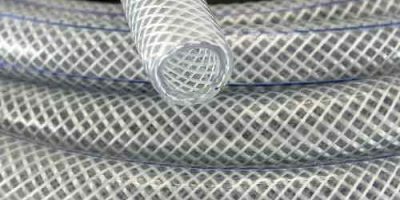 What is Alkaline Derusting? Rust in Iron is a red brown substance that develops over time when the metal is exposed to oxygen. It is formed when Iron reacts with air and oxygen to form Iron oxide (Fe2 O3) which is soft and flaky in nature so peels off the surface. Alkaline Derusting is the process of removing the rust using the process of Electrolysis and an Alkaline solution without the use of heat. Importance of Alkaline Derusting: The formation of rust is a common problem in iron based metals and one of the main concerns for the maintenance of any part made of Iron or Steel. Rust can severely weaken the part or impede its movement if it is part of a machine. There are many common methods for removing rust which mostly involve the use of some acid such as phosphoric acid or vinegar which reacts with the rust to reduce it. However acids also react with iron and may remove some of the base metal as well. 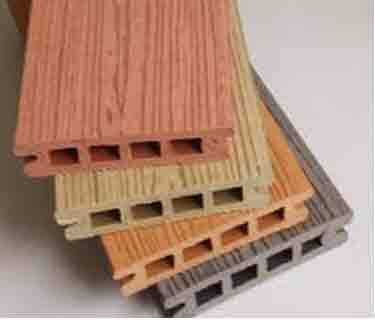 In cases where most of the original features are required after derusting, Alkaline Derusting is the preferred method. Process of Alkaline Derusting: In the process of Alkaline Derusting electricity is passed between the metal part (Cathode) and an Iron or steel anode using an Alkaline solution as the electrolyte. Alkaline solutions are used because Iron does not react with alkalis thus it does not harm the part. 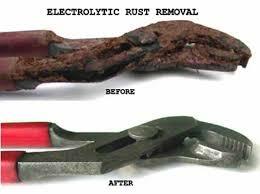 Since the process of rusting is an electrolytic one we can reverse it using electrolysis as well. In Alkaline Derusting, when the current is passed through the solution the anode material is dissolved and iron is deposited on the cathode. The rust in iron consists of two layers. One is the reddish brown iron oxide Fe2O3 and underneath it is a harder darker compound known as black rust. This has the chemical composition of Fe3O4. During Alkaline Derusting, the iron oxide is converted into black rust and detaches from the surface while the Black Rust is converted into iron and bonds to the part surface.